Did some shopping today at one of our local grocers, Central Market. I love Central Market, they tend to have the best produce and I like to let the kids choose out some new fruit find when they go with me. They are owned by the HEB company, Central Market tends to be more of a “treat” for me since they are on the higher side when it comes to the final checkout bill. Otherwise, we stick to HEB for all our usual shopping. As a treat for myself, which I deserve after dragging three kids to the store, I will sometimes get myself something from their sushi selections. 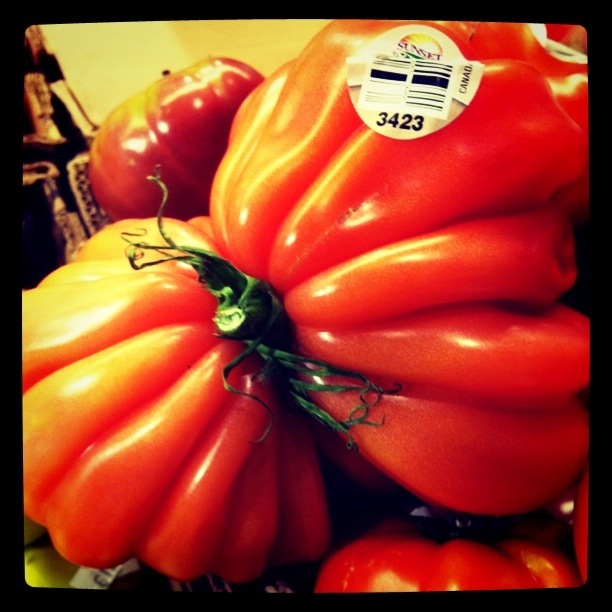 Central Market gears themselves towards the “foodie” groups and the organic shoppers. They also do cooking classes and have several chefs on hand, but for some reason every time I have bought the sushi there it has not been nearly as good as their counterpart’s, which I find odd. The higher price, availability of better ingredients and the chefs in the store would lead one to believe they would have the better sushi, but really, it’s the local HEB that has the better finds. The best part of today’s shopping trip was the family of British tourists. Usually it’s enough to hear the kids call their mom “mum” to make my day. Today they were marveling at the timed water misters over the produce. The mom was thrilled to find turnip greens for sale, I didn’t know turnip greens were so thrilling. I don’t even think I knew they were all that edible to be honest. They were all running around like kids in a candy store and taking pictures of each other in front the the hot pepper selections. At one point the son was holding a large watermelon “mum, these melons are ridiculous!” I wanted to follow them through the store, but I lost track of them when I was hunting down some ginger. Maybe it was when I was threatening to pop my son’s balloon if he didn’t stop hitting his sister in the head with it. This entry was posted in Parenting, Uncategorized and tagged Central Market, HEB, shopping, sushi, tourists, turnips. Bookmark the permalink.